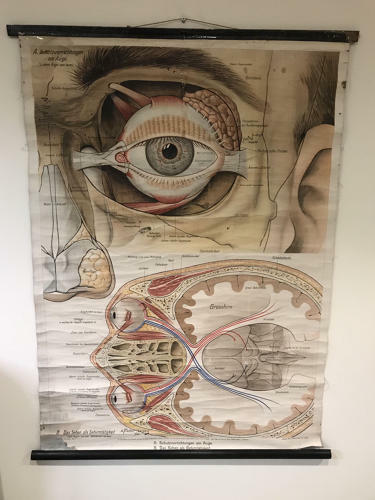 An original German school chart showing the different parts of the human eye. Paper layed on a canvas backing. Circa 1950.